Martin manages a varied portfolio, with a particular emphasis on charity, not-for-profit, and social enterprise clients. He has gained extensive and invaluable knowledge and experience of the sector, including the specialised auditing and reporting requirements, as well as tax and general business support matters for such organisations. Alongside ensuring that all core compliance requirements are met, charities are ever more valuing the strategic advice and support that Martin provides. Recently, he has been helping clients with trustee training, using trustees’ reports as a marketing tool, and reviewing the effectiveness of the accounts function. He regularly blogs on matters affecting the sector, both technical and topical, has lectured by invitation on charity accounting rules (the SORP), and provides training to trustees on their legal responsibilities and governance. He is a member of the Audit and Assurance Faculty at the Institute of Chartered Accounts in England and Wales (ICAEW) and a member of the ICAEW’s Charity & Voluntary Community. 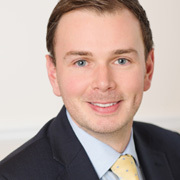 Martin joined Goodman Jones in 2012 as a manager, having qualified as a Chartered Accountant in 2008, and became a partner in 2018. In addition to his role at Goodman Jones, Martin is an independent advisor to the Audit and Governance committee of a further education research charity. Martin is a keen hockey player, playing for his local club in a regional league.